SSL is a kind of security protocol that more and more web sites are using to protect their information. 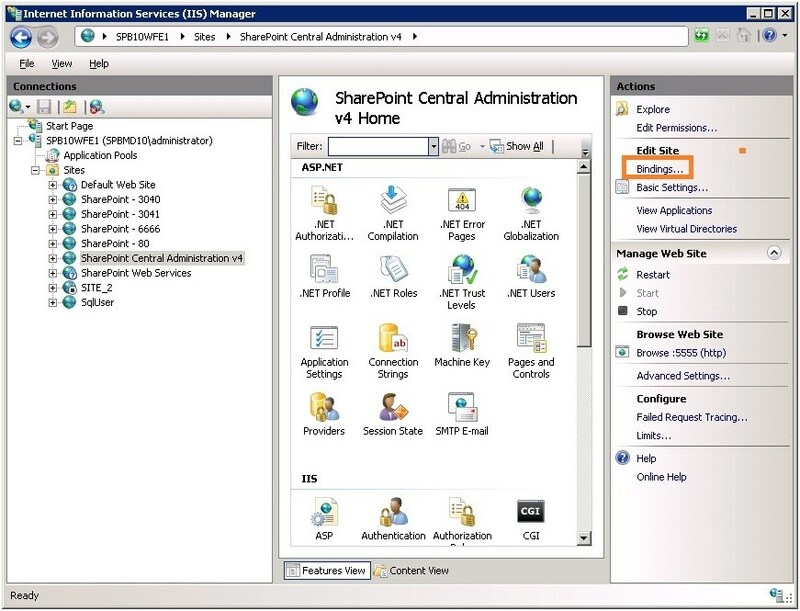 Similarly, SharePoint has a SSL feature that can be enabled in Central Administration. 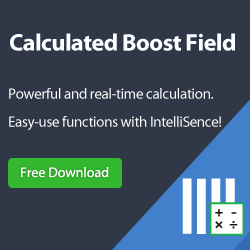 This blog will show you how. 1. 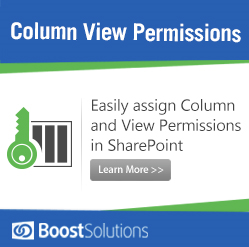 Login to SharePoint Server as administrator. 4. 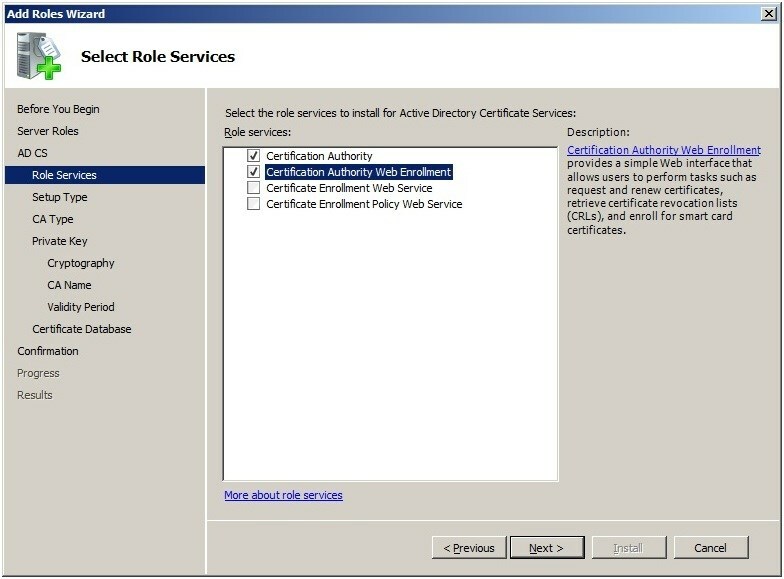 Click the “Next” button and select “Active Directory Certificate Services” in the Select Server Roles window. 5. 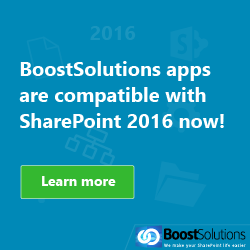 Click the “Next” button until it configures and installs successfully. 7. Click the “Next” button. 1. 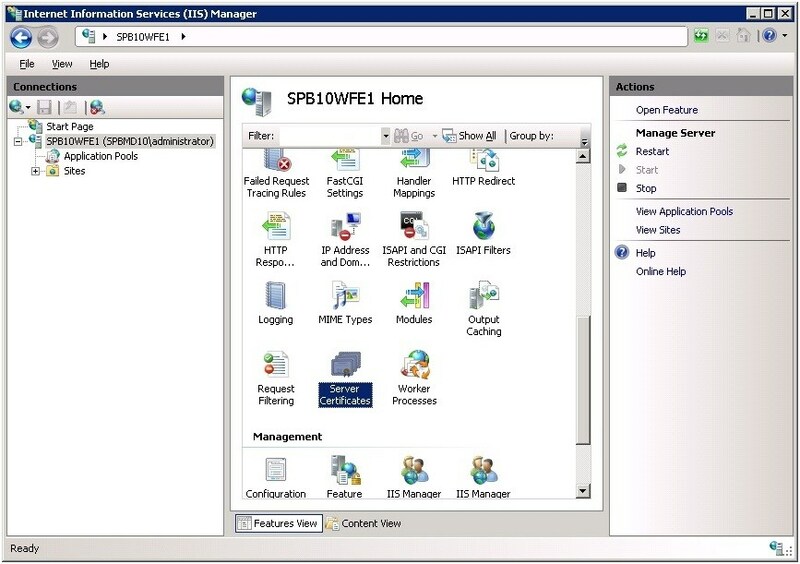 Run IIS manager as administrator. 2. 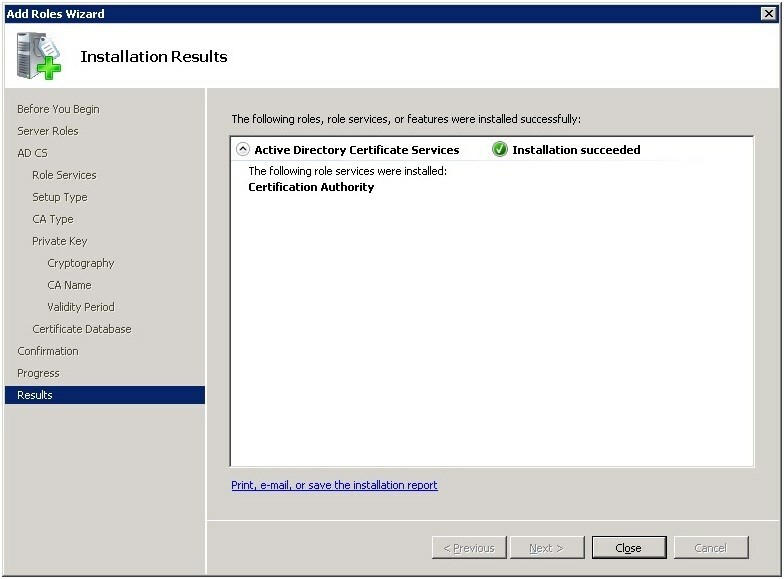 Double click this icon Server Certificates and enter the Server Certificates page. 3. Click “Create Certificate Request in Actions” section. 4. 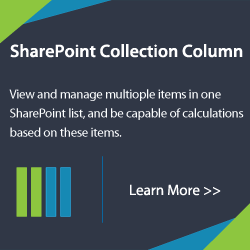 Open the “Request Certificate” window and input the correct data for every field. 5. Click the “Next” button until the file name page appears. 6. 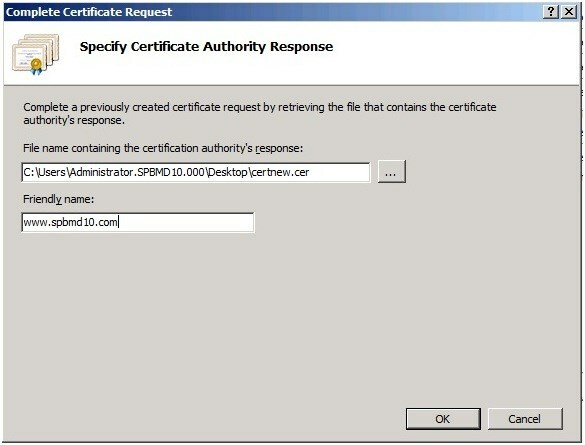 Specify the file name for the certificate request. 7. Click the “Finish” button, the request file is created successfully. 1. 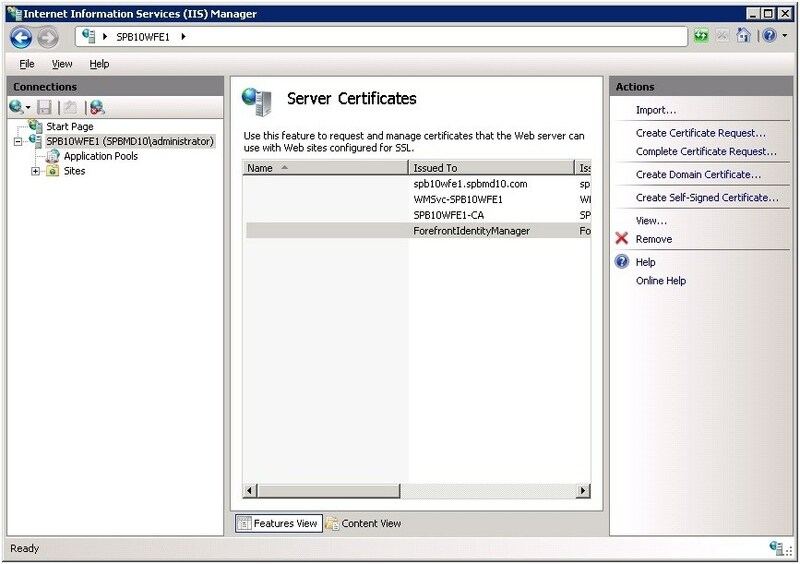 Open the CerSrv site to complete the task request a certificate. 2. 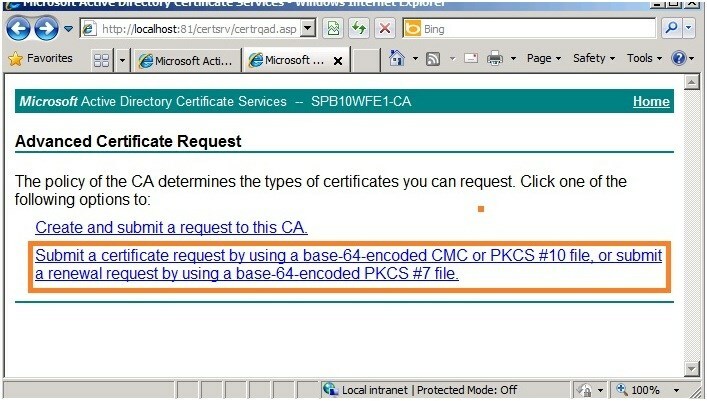 Click the Request a certificate link to open the new page. 4. 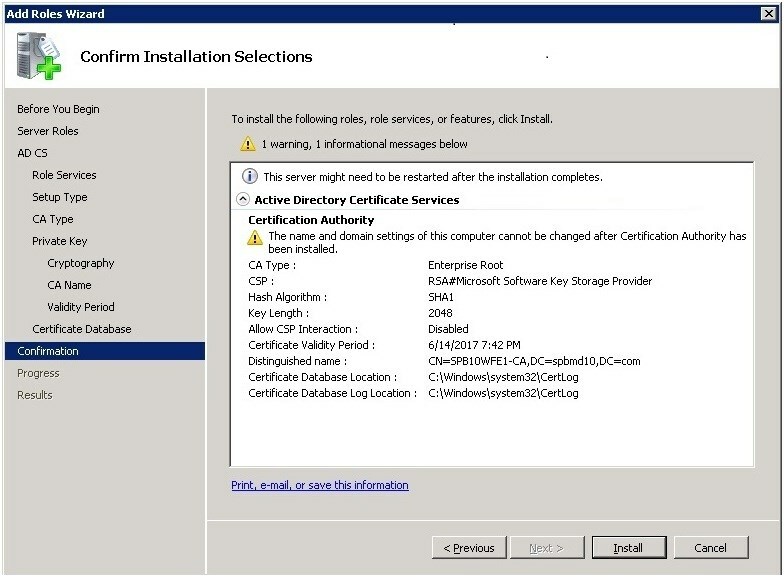 Copy the contents of the certificate file created on Step2.6 to the textbox base-64-encoded certificate request. 5. 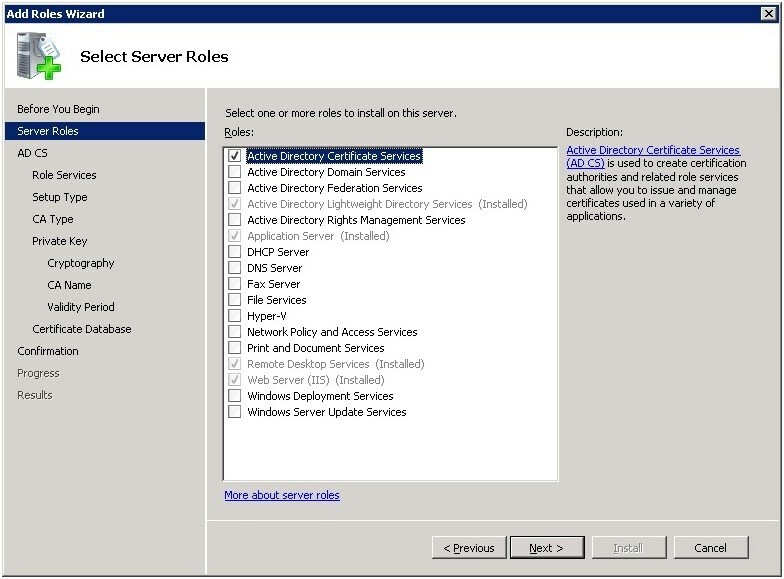 Select “Web Server” in the Certificate Template drop-down menu. 6. Click the “Submit” button. The will then be Certificate issued. 8. 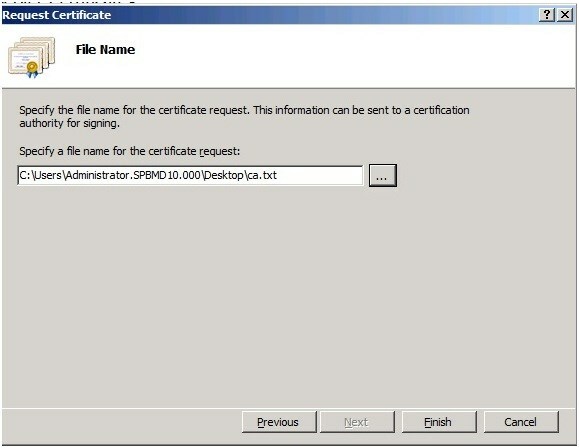 Click the “Complete certificate request” button. 10. Click the “OK” button to create the server certificates. 2. Click “Bindings” in the “Edit Site” section on the right side. 3. The Site Binding Window will popup. 4. Add the https type and select the SSL certificate. 5. Add the access mapping in CA. Note: Do not forget add the host record on DNS server. 1. 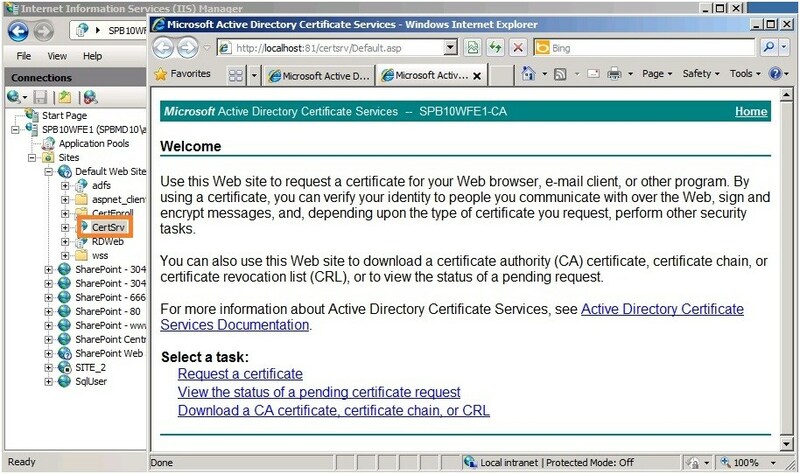 Let’s access CA using the following URL https://www.spbmd10.com. Note: You might need to first import the certificate to the current browser. 2. 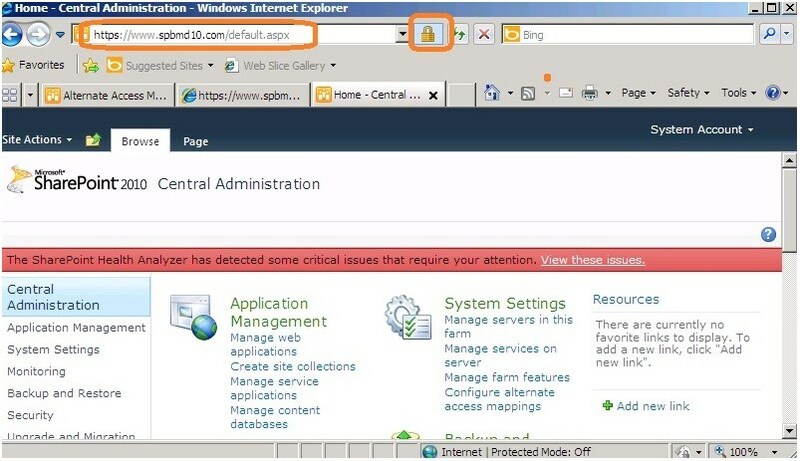 If you see the following, then we have successfully added SSL to a SharePoint website. 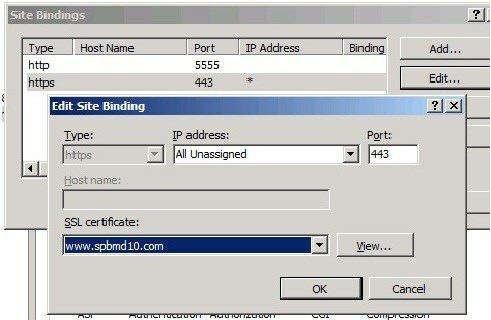 Hi, you can know more about DNS with my another blog http://www.sharepointboost.com/blog/how-to-add-trust-domains-in-a-sharepoint-farm/. Here, you can do it by the following steps. Go to Start> Administrative Tools>DNS. 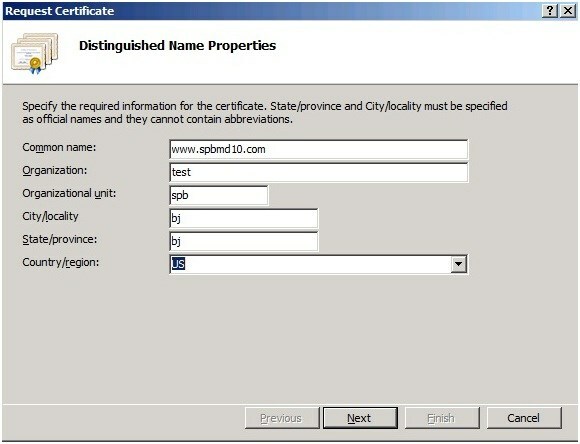 Expand Forward Lookup Zones, right-click one zone your domain such as spbmd10.com ,click New Host(A or AAA), type one name such as www in the Name box of New Host dialog, click Add Host. Finally, you will find one new record is added. 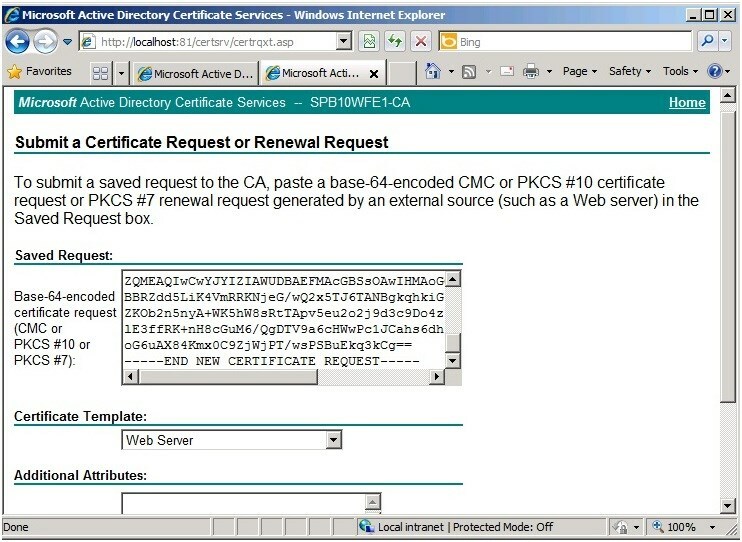 Yes, you can create the certificate on your web server. But whether need to purchase one is relying on the requirement of company. excellence of the Mazda 626 car parts along with other Mazda products. find a branch anywhere you go, in case you require emergency parts or servicing. Ei lá ! Esta é minha primeira visita ao ѕеu blog! blog nos forneceu valioso informaçõеs para traЬalhar еm. Você fez um maravilhoso emprego!